I’m so excited about this post, 1) because I love great gifts, and 2) because I know there are lots of fellow natural mamas out there who read this blog. As a lover of essential oils and beautiful ways to enjoy their aroma, I was SO psyched when I came across Terra Cotta Pendants and immediately purchased three of them as gifts. They are exactly what they sound like – pendants that can be worn as a necklace or hung around the home or in a car, and they diffuse drops of your favorite or most needed essential oils. And now Lori, the creator of Terra Cotta Pendants, brought on a genius way to use them in a baby’s nursery. Lori answers all my questions below, and offers her practical and helpful advice on how to safely diffuse essential oils in a baby’s nursery. And if you’re looking for a great gift idea for that new or expectant natural mama in your life, the ‘Footprints’ pendant is a slam-dunk! It comes with the beautiful poem you see above and is something both mom and baby can enjoy. Once you’ve read Lori’s tips below on how to safely use essential oils in a baby’s nursery, make sure you enter to win the giveaway for a free ‘Footprints’ pendant at the bottom of the post! I wish I had been familiar with essential oils when I had my babies! My children were already eight and ten years old when I discovered essential oils and they loved them. Now I am waiting to become a grandmother so I can coach another mother on how to use essential oils with a baby. I have a plan! My plan will be initiated on the day of the baby’s birth. To welcome the baby, I’ll be toting some Terra Cotta Pendants and essential oils when I go to meet the baby at the hospital or the place of birthing. I will bring a Terra Cotta Pendant with a drop of calming essential oil like Lavender or a calming blend for mom to wear and infuse the baby’s breathing space with the aroma. There is a bonus effect of this: not only will it calm the baby, but also it will also affect the parents and anyone close enough to smell the oil. And the baby will later associate the aroma with his/her first days of life. I would gift the parents with several Terra Cotta Pendant “Car Diffusers” which have magnetic clasps and can be hung at different places around the home. You have questions? Good. Allow me to try to anticipate them. Which oils should I diffuse in our home– and where? Which essential should I wear on a Terra Cotta Pendant? 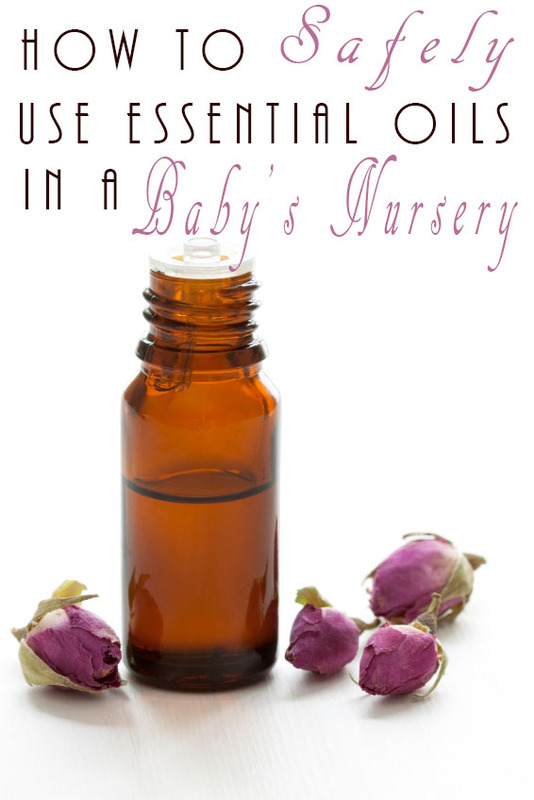 Which essential oils can I use to give the baby (and my other children) a gentle massage? Put one drop of essential oil in your palm and rub your palms together until they are completely dry. Then add a drop of baby moisture cream or pure carrier oil (such as coconut oil). I would suggest not putting any essential oil directly on a baby’s skin and I would rotate the oils so you are not using the same one, day after day. If the baby, or someone else in the home, is coughing or sniffling, diffuse Clove, Lemon or Peppermint. This helps to keep the air clean. Essential oils not only purify the environment, they calm and balance us. This can be helpful in the days when parents are bringing a first, second, third – or fourth child home. It can also be soothing to the toddlers who have waited at home. Imagine how your home will feel with all these beautiful essential oils diffusing into the air! The contest starts at midnight, and we will draw the winner a week from today (Tuesday, April 8, 2014). GOOD LUCK! Note: This post may contain affiliate links. This means I’m sometimes able to partner with cool people and products which I blog about. I only blog stuff I like and products I use myself from people and businesses I believe in. And, if you make a purchase, you will be helping me support this site. Thank you! Love this! There is so much info out there and I have not had the time to decipher what is unsafe or safe for baby… thank you for this! @Nicole You’re welcome! I went through the same thing! It can get overwhelming. So nice to have a guide! I am a citrus girl myself @Kristine! That combo you said sounds incredible! I love lavender and citrus. Lavender because it’s calming and citrus because it’s so fresh and clean. Lavender is definitely a big one! And I love the citrus, especially for this time of year! These scent tips are really great, even though my “babies” are growing up so fast! My daughter is particularly fond of lavender (as am I) and I’ve been meaning to buy one of Lori’s beautiful Terra Cotta Pendants for a while now. I definitely need to get one for each of my kids, and something that will “CALM” my little boy down when he has those…hmm what can I call them…testosterone attacks? Hahaha Thanks for the reminder! Great post! Lavender and Lemon are my favourites. I love the citrus smells! Lavender is amazing too! I just had a baby and am just getting into EO’s so this post is GREAT! Alyssa congrats on your new baby! This sounds like the perfect thing for you! I love the idea of using these in the nursery! I am due in August and hope to use these. I love lavender for the calming effect! Yes, you WON Kelly! Congrats! Did my emails go through to you? I sent you a couple. Just send me your address in an email to: ali@punkwife.com and we will get the pendant to you! Also, if you want to join the Punkwife newsletter, subscribe via the red box on the right of the screen so you don’t miss any new contests and updates! Thank you for participating! Thank you! I was wondering for how long do you diffuse lavender in baby’s room? While baby is in there, or before? All night? Thank you!